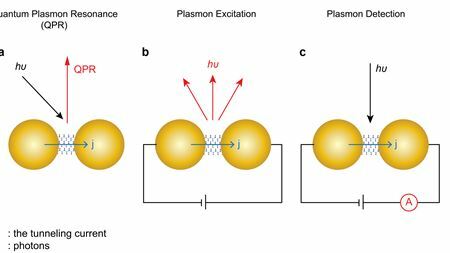 Molecular electronic plasmonics is bringing together molecular electronics and plasmonics for next generation devices. A new technique known as ion soft-landing can produce battery electrodes with significantly better electrical capacity and long-term stability. Scientists have invented a metal nanowire-based battery material that can be recharged hundreds of thousands of times. Explore the Special Issue on The Effects of Confinement on Polymeric Thermal Transitions and Nanostructuring, here. Explore the new Special Issue on Thermophysical Properties, Thermal Stability and Fire Retardancy of Polymers Blends and Filled Polymers. One step closer to printable perovskite solar cells? Researchers from Los Alamos may have found a way to produce perovskite thin films, using a cheap, scalable technique. New moldable thermoplastic polymer leads to renewable thermoplastics.